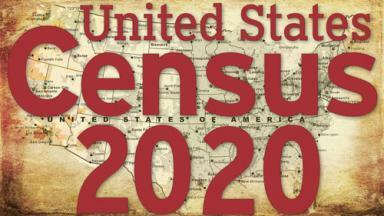 The Census, conducted every 10 years, provides an official count of the entire U.S. population to Congress. Those numbers are used to direct more than $675 billion a year (as of 2015) in federal funds for local programs, and are used to determine political boundaries for the next decade, including the numbers of representatives each state sends to Washington. This project requires highly coordinated efforts in regional offices across the country. Here in Northwest Indiana, recruiting assistants are looking for workers able to fill clerical and map verification duties in advance of the actual count, which will take place next year. These jobs pay $12-$14 an hour to start, and offer short term work starting in about eight weeks that is more than competitive with other area wages, according to Richard Underkofler, U.S. Census Bureau Recruiting Assistant for the Northwest Indiana Area. "Early operations will consist of address canvassing and will begin in about eight weeks when an area Census Office opens in Merrillville." Applicants for these positions, which pay $14 an hour plus mileage, should posess a vehicle and valid drivers license. Underkofler is also looking for workers for the regional field office, positions that pay $12 per hour. Clerical backgrounds will be helpful. Applicants for either position can find more information and apply online at https://2020census.gov/en/jobs. When peak operations begin in February 2020, 186 applicants will be needed from Jasper County, Underkofler said. The goal is to hire one census worker from each census tract of each county for field operations. There is also a push this Census for respondents to complete the survey information online, reducing the need for workers to go door to door and increasing the ease of responding, Underkofler said. Public access computers may be used at any of our library locations by census job applicants and survey respondents.